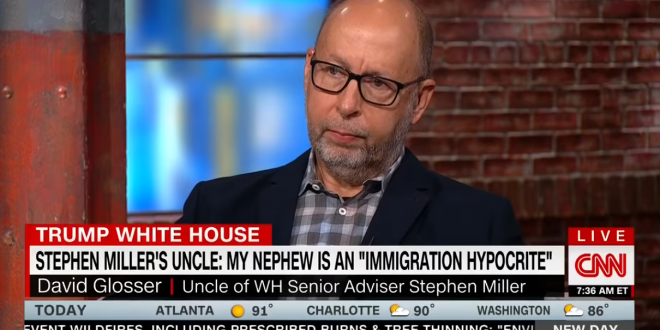 Stephen Miller's Uncle: Dozens Of Our Family Members Urged Me To Call Him Out As A Hypocrite [VIDEO] - Joe.My.God. Glosser said he also didn’t expect to change Miller’s stance on immigration following the release of his fiery editorial on Monday. “It appears he made his entire political and personal career on this single issue for reasons that I don’t really know,” he said.